Here at Greatwood our music curriculum and the musical experiences that we offer our children are first class. 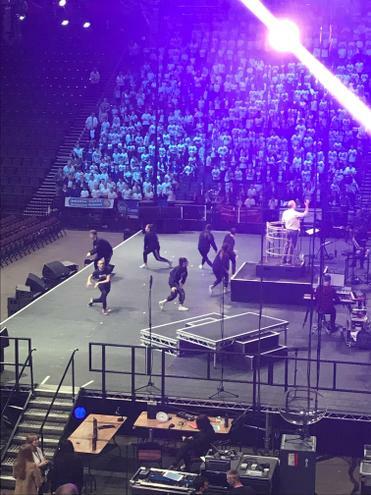 The emphasis that we give to music is equally as important as other curriculum areas. 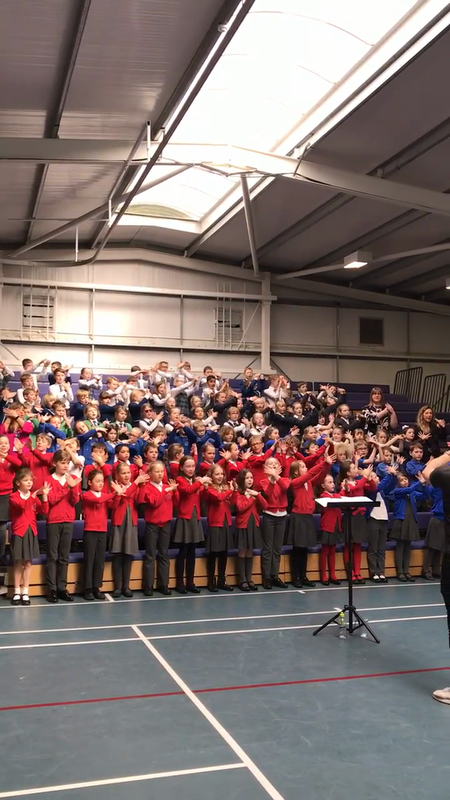 We currently offer; choir after school club, recorder club, weekly brass band lessons, whole school singing assembly, accordion lessons, violin lessons, keyboard lessons, guitar lessons and some of our older musicians hold and ‘inclusion’ music club on a Friday dinner. 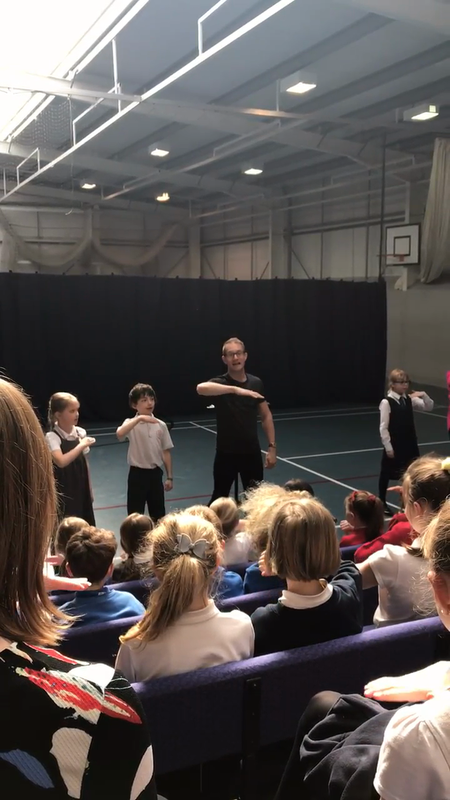 2.4.19 We were invited to spend the day at Westville Private School in Ilkley. World famous choirmaster; Charles Macdougal taught us how to sing a repertoire of new songs. The eclectic choice of songs ranged from a traditional African building song to a song about an Indian Chief. 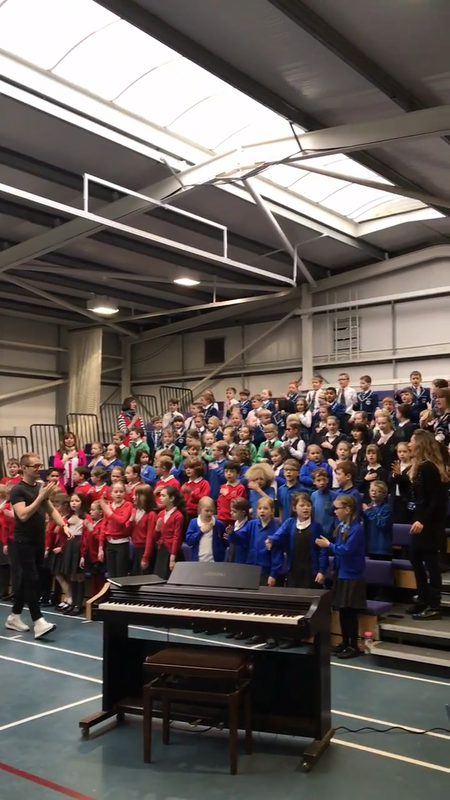 We sang alongside children from a Westville, Lady Long School, Addingham and Oak Mount School. 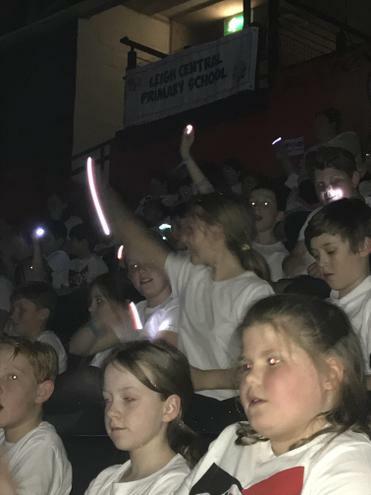 In the evening we performed to an audience of around 100 parents and family members. Thank you to Mrs Finch and Mrs Yeoman for taking us. Shakira was born in Columbia. Carlos Santana is a Mexican-born Musician. He began playing the violin aged 5, by eight though, he had switched to playing the guitar. 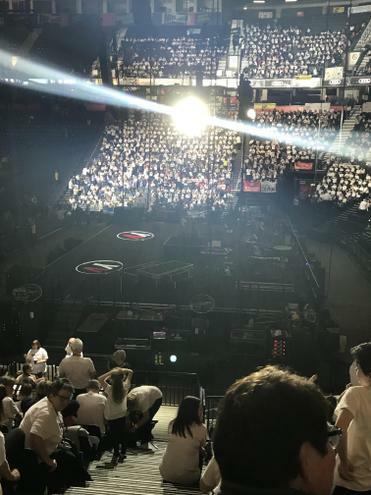 On 14.02.2019 we spent the afternoon/evening at the MEN arena in Manchester. 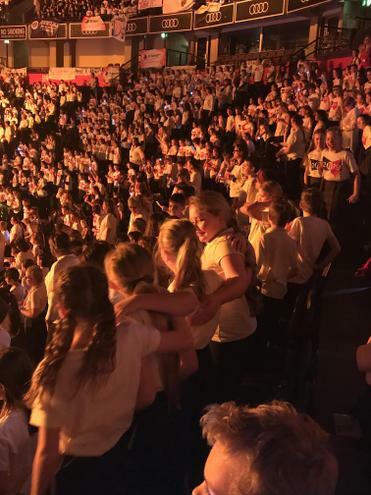 We were joined by 6726 other children to form the Worlds Biggest Choir. 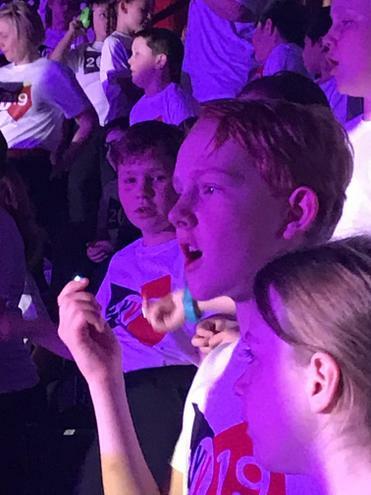 We sang favourites from The Greatest showman, Joseph and His Technicolour Dreamcoat, Kylie Minogue, Coldplay and accompanied Tony Hadley in some ‘classic’ Spandau Ballet. All 32 children in Year 6 are confident brass musicians, they play a range of instruments including: the trumpet, the trombone and the euphonium. 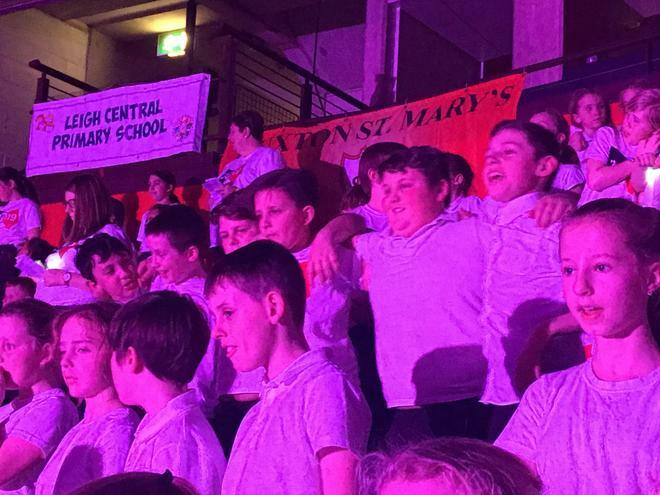 Our children can read musical notes and have performed to large and small audiences. Our Year 4 pupils are continuing to take part in weekly Brass lessons. Our Brass lessons take place EVERY Wednesday morning with Mr Price and we play a range of instruments. The children here at Greatwood are talented singers. Our choir club runs every Friday evening after school. This term we have been learning to sing songs by Jess Glynne, songs from the film ‘The Greatest Showman’ and Toy Story. 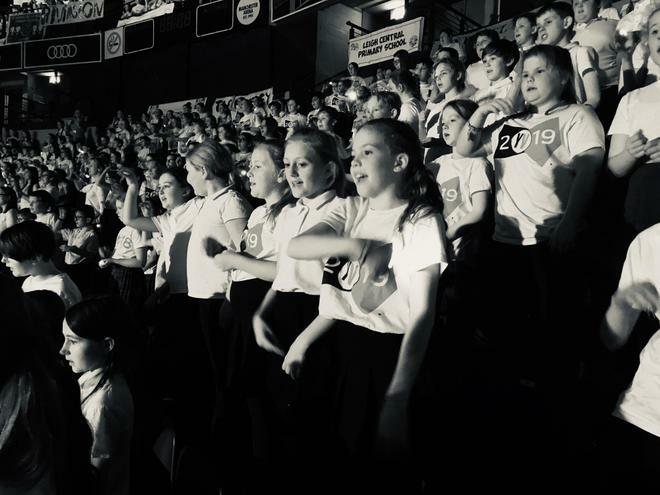 We performed on stage for the Skipton Christmas Light switch on in December 2018 and sang at a local residential home. On the last last day of term we sang Christmas Carols to a packed out hall. 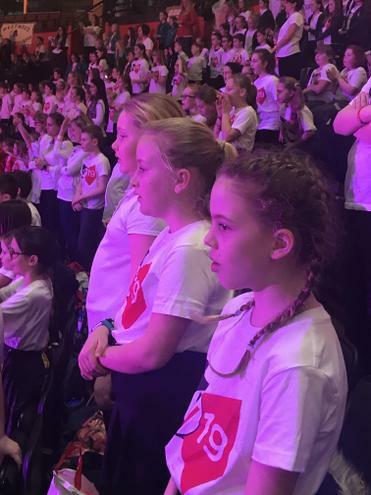 On the 14th February 2019 our 32 piece Year 6 choir will be travelling to the M.E.N to take part in Young Voices. We have been practising songs and cannot wait to showcase our talents.